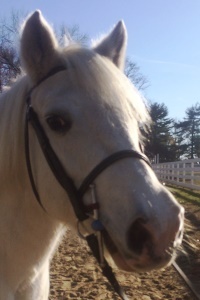 “Sugar” is the perfect first pony for a child to learn the basics of riding. She’s our best all around, teaching lead liners through short stirrup riders. She loves trail riding and jumping. Sugar’s an angel in horse clothing, and we’re blessed to have her on our team.